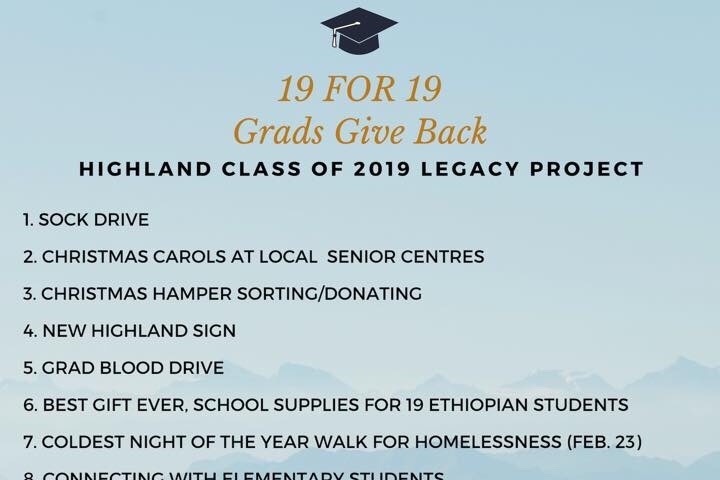 Grad gives back, 19/19, 19 acts of wholesome charity and bringing the community together for our graduation year of 2019. As a collective we want to present our fellow neighbours and friends with the love and kindness they deserve based on the support we have received during our years of education. 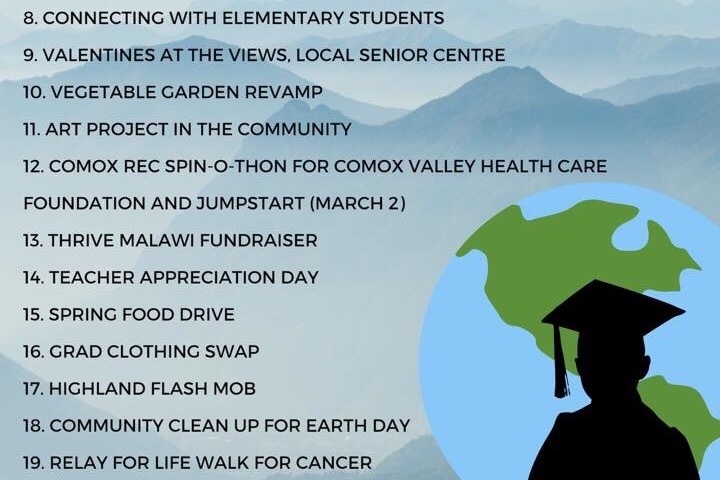 All we want is to make the Comox Valley a better place, by providing service in many different ways, but not only are we trying to influence our families from home, but as well as strangers all across the world, simply, friends we haven’t met yet. An act as simple as raking leaves, to a bigger cause, such as, Relay For Life. Also for our global causes, thrive Malawi and Syrian Family Refugee support. Over the years we have received so much, and now it is our turn to return the helping hands that have been extended to us. Highland secondary is ready to gift all of those who need it, and those who have helped us. Grad gives back, cannot happen without fundraising, therefore if you have a dollar or two to spare, please fund us, please help us pay back the world, for raising us and making our lives worth while. We finally have our official list of our 19 event or acts of kindness as apart of our legacy! 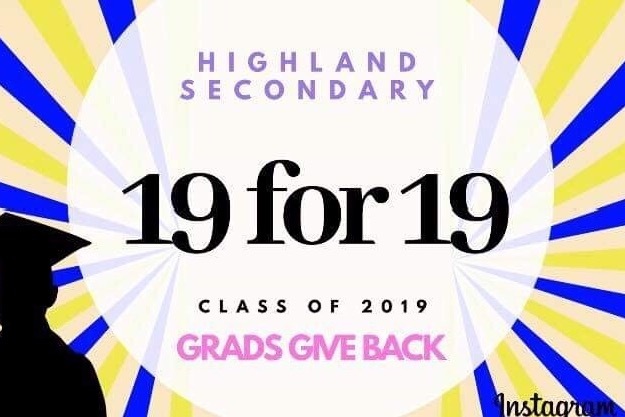 I hope that you’ll help our grad class give back!